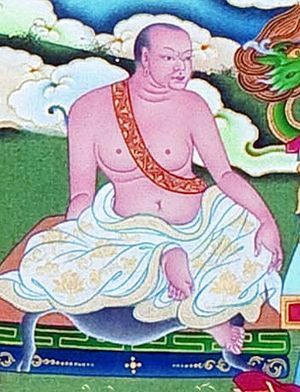 Lingje Repa Pema Dorje (Tib. གླིང་རྗེ་རས་པ་པདྨ་རྡོ་རྗེ་, Wyl. gling rje ras pa pad+ma rdo rje) or གླིང་རས་པ་, Ling Repa (1128-1188) — a disciple of Phagmodrupa Dorje Gyalpo (1110-1170) and the main teacher of Tsangpa Gyaré Yeshe Dorje. He was known as 'the Saraha of Tibet'. Dan Martin. 'Gling-ras-pa and the Founding of the 'Brug-pa School' in The Tibet Society Bulletin. 13 (June 1979) 55-69. This page was last edited on 7 February 2017, at 01:05.